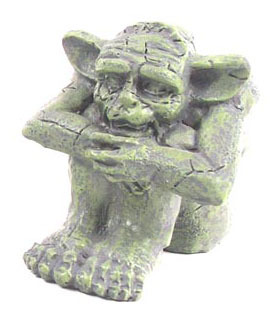 This solid resin gargoyle has been designed in a Gothic style and finished in a weathered green effect. He is sitting with his knees pulled up to his chest and his arms folded around them. He measures 8.5cms.